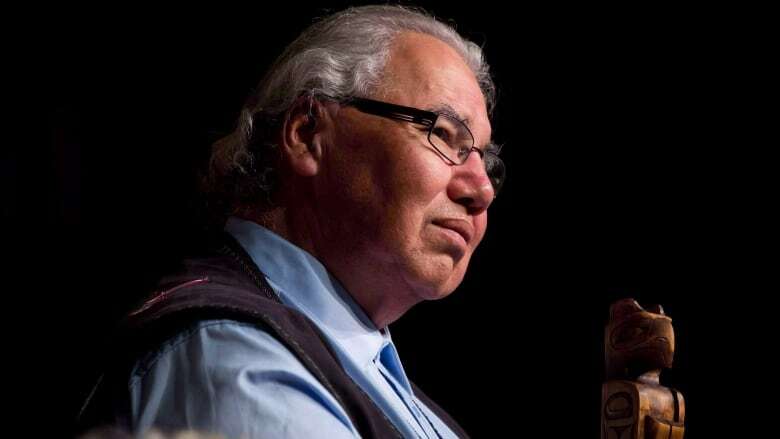 The Truth and Reconciliation Commission heard concerns about coerced sterilization of Indigenous women during its years-long examination of Canada's residential school legacy, Sen. Murray Sinclair said Thursday as he joined a chorus of calls for a national investigation on the issue. Sinclair, who chaired the commission, said cases brought to his commission's attention generally involved women who were under the supervision of a child-welfare case worker or a social worker from a child welfare agency. As chairman of the TRC, Sinclair spent six years documenting Canada's residential school legacy — a government-funded, church-operated assimilation program from the 1870s to 1996 — and issued 94 recommendations, including several involving child-welfare reform. "It (coerced sterilization) was in fact an issue in Saskatchewan that had been raised with us," Sinclair, who was appointed to the Senate in 2016, told The Canadian Press on Thursday. "We suggested that there needed to be an evaluation of the child welfare system's involvement in this." Sinclair now joins a growing list of people and groups, including Sen. Yvonne Boyer, Assembly of First Nations National Chief Perry Bellegarde and Amnesty International Canada, who are concerned about allegations that Indigenous women were pressured into tubal ligations. Any action forcing individuals into sterilization procedures must be stopped immediately, Sinclair said, adding the UN Convention on the Prevention and Punishment of the Crime of Genocide adopted in 1948 "immediately comes to mind." Further investigation should fall primarily upon the shoulders of government, Sinclair said. "They would have the ability to mandate an inquiry with the appropriate subpoena powers and the ability to summon witnesses before them to give testimony," he said. This week, the UN Committee Against Torture heard from Canadian representatives about concerns over modern-day sterilization of Indigenous women in Canada. The UN committee is expected to release a report with comprehensive findings on Dec. 7. On Wednesday, committee rapporteur Sebastien Touze said forced sterilization must be seen as equivalent to torture. He asked for Canada to examine specific criminal provisions related to forced sterilization, whether it is perpetrated by a public agent or private individual. When NDP MP Niki Ashton commented on the rapporteur's concerns in question period on Wednesday, Prime Minister Justin Trudeau called coerced sterilization of some Indigenous people a serious violation of human rights. "We know that Indigenous patients can face systemic barriers in accessing services, including discrimination and racism," Trudeau said. "We will continue working with partners to ensure all Indigenous Peoples have access to culturally safe health services no matter where they live in Canada." Forced sterilization is also at the centre of a proposed class-action lawsuit in Saskatchewan. Alisa Lombard, an associate with a law firm leading a proposed class action on forced sterilization of Indigenous women, said Thursday that immediate action is required to prevent the practice and protect Indigenous women. Any national investigation into the issue should not prevent authorities from moving ahead on action, she added, including outlawing forced sterilization in the Criminal Code. Lombard's firm, Maurice Law, has listed the Saskatoon Health Authority, the provincial government, the federal government and medical professionals as defendants in its statement of claim for the lawsuit. The court action was launched in 2017 by two of the affected women, who each claimed $7 million in damages. The number of complainants has now grown to around 60.